Green Olive offer communion catering on this wonderful occasion in your child’s life. It is the perfect opportunity to gather together with your family and friends and celebrate their First Holy Communion and enjoy our communion catering services rather than paying for an expensive meal. Your child’s communion day is fast approaching and we at Green Olive Communion Catering Galway are on hand to ensure your day is catered with ease and professionalism. Our commitment to using the finest, locally sourced ingredients cooked with creativity and passion will allow you to relax and entertain your guests! With years of experience Communion Catering in Galway, we are on hand to advise you in your choice of menu. It can be a challenge to make catering choices for diverse tastes, but allow us to make suggestions which will delight all family members including grandparents and children alike. 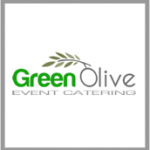 Green Olive Communion Catering Galway are a one stop shop for all your catering requirements. We will provide all of the cutlery, napkins, delph and servicewear required for your party. We will deliver and set up your food while you are at the church should you require. You will come home to find your feast prepared, ready to eat and be served to your guests! It’s that simple, so call today!